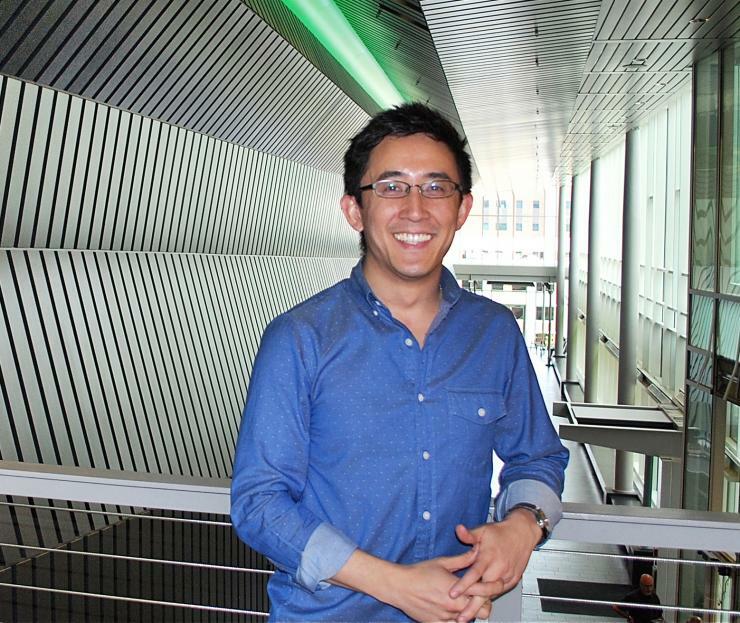 Gabe Kwong, assistant professor in the Wallace H. Coulter Department of Biomedical Engineering at Georgia Tech and Emory. Gabe Kwong, assistant professor in the Wallace H. Coulter Department of Biomedical Engineering at Georgia Tech and Emory, and a researcher in the Petit Institute for Bioengineering and Bioscience, is one of only 82 people selected to participate at the 2017 US Frontiers of Engineering symposium. It’s a highly competitive and prestigious invitation, according to the National Academy of Engineering news release about the event. For 2017, the symposium will focus on the latest advances in four areas: mega-tall buildings and other future places of work, unraveling the complexity of the brain, energy strategies to power our future, and machines that teach themselves. Kwong’s own research program is conducted at the interface of engineering and immunology. He and his multidisciplinary team develop nanotechnologies that interact with immune cells, enabling new applications in biomedical diagnostics and cell-based therapies. He has ten issued or pending patents and has launched one startup company. Invited participants for 2017 include three Georgia Tech assistant professors, as well as rising stars from organizations like Google, DARPA, 3M, IBM research labs, Lawrence Livermore National Laboratory, and others. The 2017 US Frontiers of Engineering program will be hosted by United Technologies Research Center in East Hartford, Conn., September 25-27.